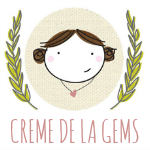 Creme de la Gems: Creme to give up her clay...? Creme to give up her clay...? over what direction my business should go. on my clay designs (and I'm not talking about my simple clay charms as shown above...I'm talking about my focal characters, such as Princesses 'n such). a MILLION times easier?! So why is this decision so difficult for me? When I could sell a sterling silver stamped necklace for $35 vs. a clay necklace for $35. One takes approx. 30 minutes to make and the other sometimes 3 hours. One thing about me is that I dislike saying "no." It is a horrible, horrible flaw that I struggle with. "Let your yea's be yea, and your neigh's be neigh." front burner. Because I need to. I really need to. Partly because I hate to say no, but even more is that I LOVE my customers! necklace from me. That's ONE clay necklace! They should drop me, right? They love Creme Clay Jewels. And I love making them happy. 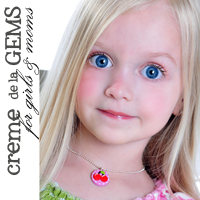 and Not the future of Creme de la Gems. "I'm a people please-er *sigh* "
So that is what has been on my mind for quite sometime...in a nutshell. I said it. I need to keep my word. I pray that the stamping will keep my creative needs met. Will "Creme" give up her Clay entirely? Is there any hope for me Pastor Fred? OH NO! Don't give it up entirely..maybe try simplifying the line. I was in a tug o war about sticking with my hair accessories biz or just going all out with the jewelry and decided to do a little of both. I have been able to please ALL of my customers this way. I agree, pray about it and let God show you what to do. Whatever you do it should just feel naturally good and right. I know that is exactly what you did :) I love you, and am so grateful to call you my friend. This is something I have struggled with as well. 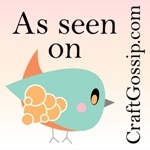 I just adore your work and was recently pondering your pretty creations paired with some of my Ollie Girl! Creations. 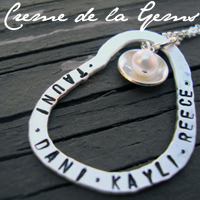 Your stamped pieces are just GORGEOUS! I think you need to follow where the Lord leads you. You only have so many years that your kids are home with you... that time to invest in them. If God leads you and you follow, you will be in His will. Your clay pieces are such divine pieces of art! I love your stamped pieces too, but have never seen anything more beautiful than your clay work.. I hope that you keep doing it- they truly are so unique and wonderful. Just raise your prices to make it worth it. Tracy, your Clay Art is so very special. Why don't you consider doing your Clay Art four times a year?i.e. January, April, July and October. You could take orders in advance for those months. That way your customers, who LOVE your Clay Art, would still be able to get it. They'd just need to plan ahead.